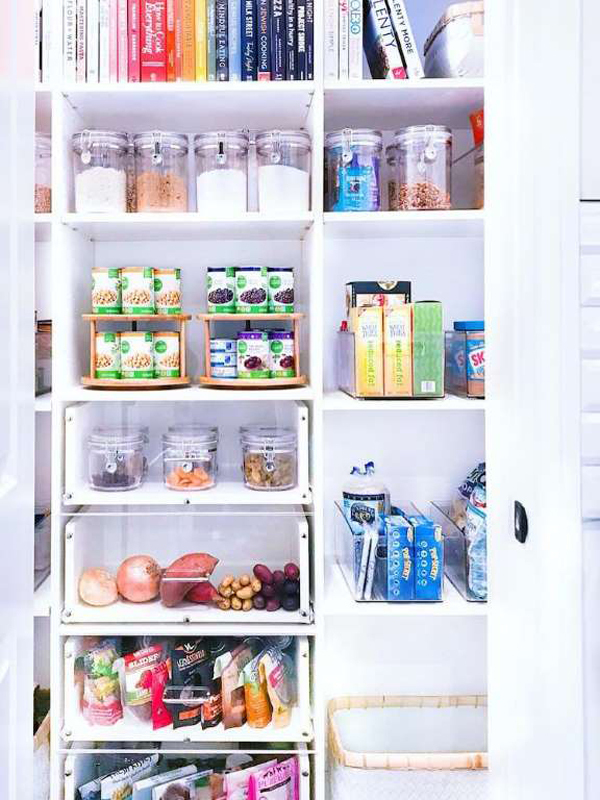 Turn that mess of munchies into an orderly array of provisions by dividing the pantry into zones that each correspond to a category of consumables, such as weeknight meal prep ingredients (say, pasta, rice, and beans), baked goods, snacks, and drinks. Place foods that expire soonest in front of those with a longer shelf life so that you will always grab grub while it’s at its freshest and most flavorful. You’re bound to confuse your partner’s, child’s, or even pet’s toothbrush, towel, or hairbrush for your own if everyone's beauty and health essentials are the same color. Ditch the matchy-matchy approach and assign a different color to each member of the family. 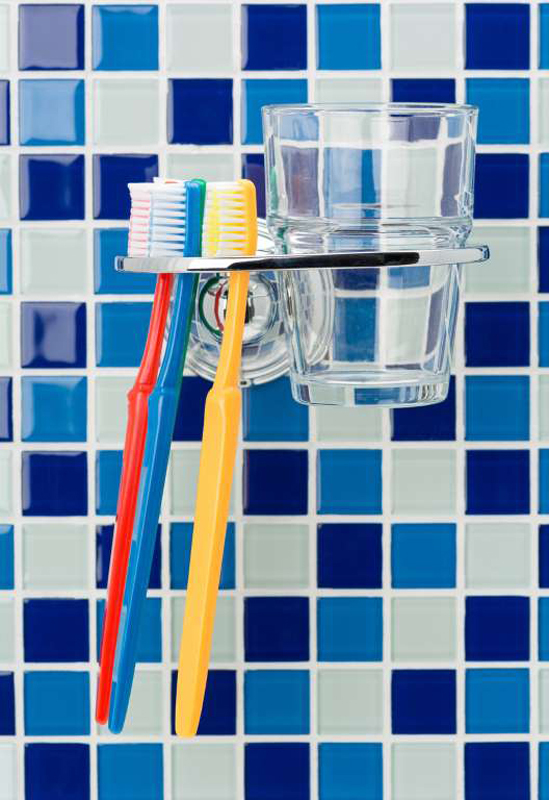 Implement the color-coded system for bathroom essentials and beyond to prevent embarrassing mix-ups. 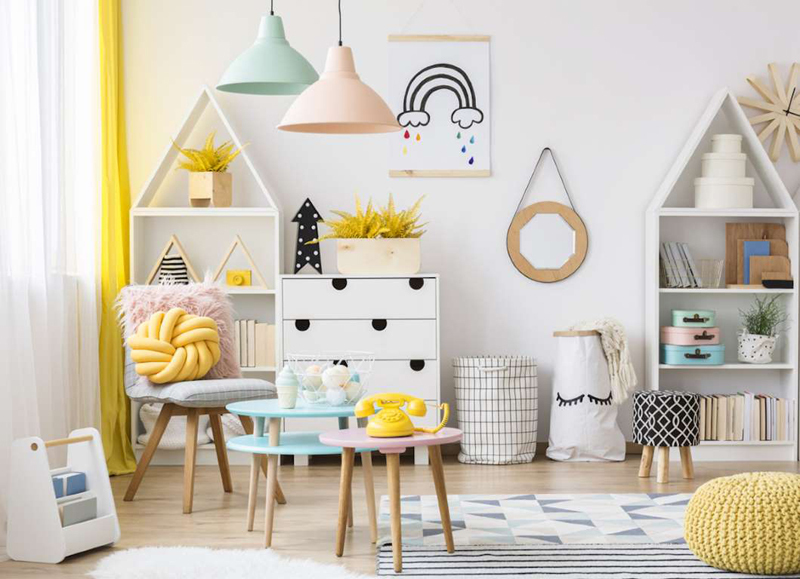 Take a cue from organizer extraordinaire Marie Kondo and rid your children’s toy chests of blocks, dolls, and games that no longer spark joy. In the process, you'll free up space for any new toys you add this year. Donate the discarded items to charity, and arrange the keepers neatly in baskets and containers. Stow small knickknacks in clear Muji pouches for fuss-free storage and retrieval. 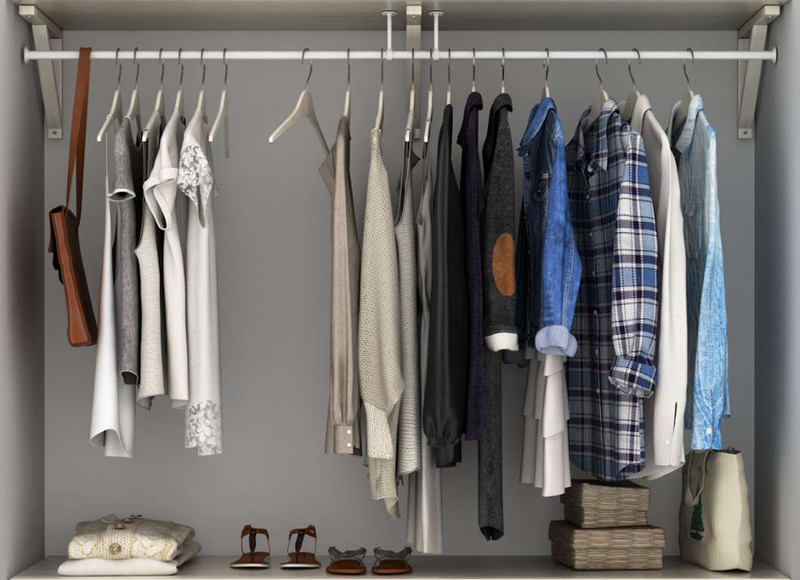 No outfit is complete without coordinating accessories,so why store purses, scarves, hats, and belts on a separate shelf or hanger in the closet? 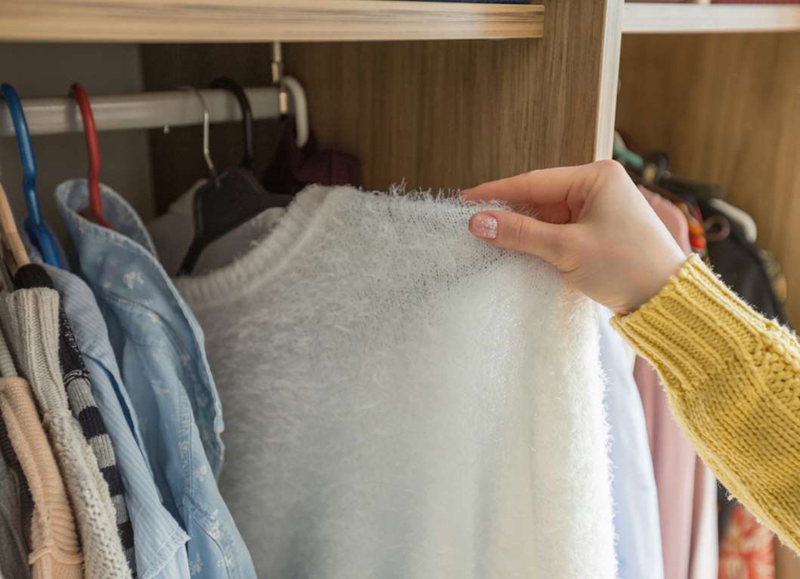 Cut clutter and save yourself a daily rummage through the closet by arranging matching tops and bottoms on a single hanger, then drape the perfect accessories for that outfit on the same hanger. 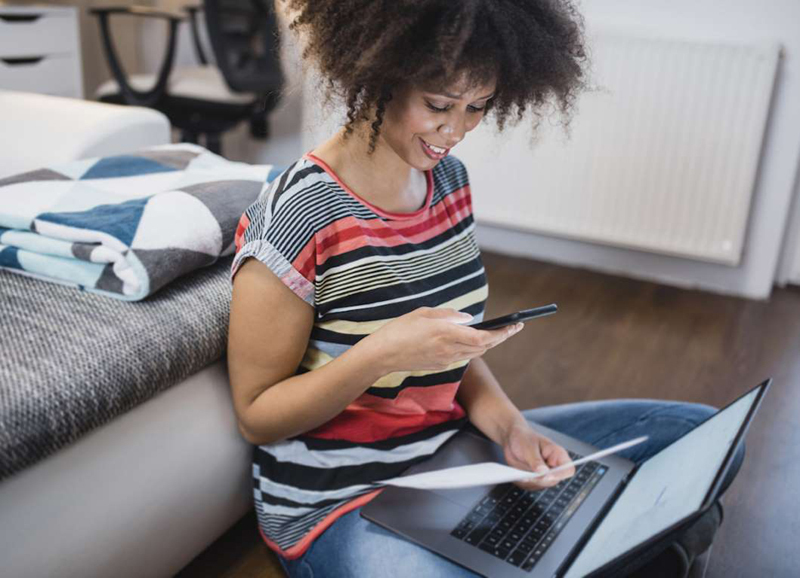 If you’re a diligent record keeper, you no doubt have a box or kitchen drawer overflowing with carefully saved receipts. Cure drawer disarray and make it easier to retrieve the receipt you need for a return or exchange by taking your receipts digital with an app like Shoeboxed. Simply download the app on your smartphone, use the phone’s camera to take a photo of your latest receipt, and recycle the physical copy. The app will let you search for and pull up any of your uploaded receipts in seconds. Tidying up before the guests arrive takes mere minutes when your living and guest rooms are stocked with multipurpose furnishings that double as storage. 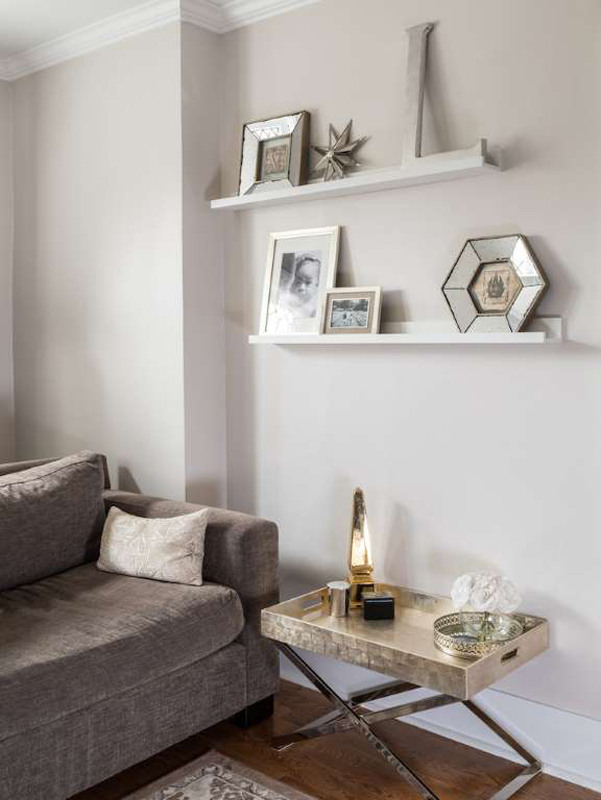 Opt for lift-top coffee or side tables, sofas with under-cushion storage, and lidded ottomans to keep throw blankets, magazines, electronics, and other knickknacks off the floor and under wraps but right at hand when needed. The garage floor is one of the most cluttered surfaces in the home, primarily because the storage potential of the garage walls is so often overlooked. Line the garage walls with shelves, racks, slat walls, or pegboards to keep paint cans, tools, and bicycles safely stowed but accessible. Set up a pulley system to keep seldom-used garage accessories like ladders hoisted high and out of the way of everyday garage activities. Get your anemic air conditioner or flaky fridge up and running again in a flash by keeping both the appliance manual and warranty close at hand. 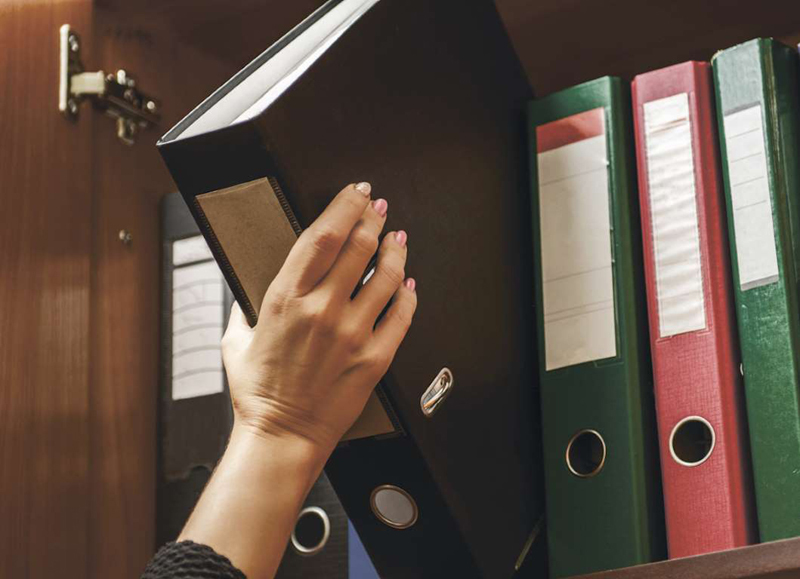 Make it easier to find what you need by keeping all the manuals and warranties for the appliances in a given room in a single folder or binder that you store in that room. For example, put the documentation for your fridge, range, dishwasher, and coffee maker in a folder that you keep in a kitchen drawer or cupboard. Beat procrastination and clutter in one fell swoop by dividing your home office into three zones—work, reference, and supply—that will be used only for the designated purpose. The work zone should be used solely for work and should contain only the essentials you need to remain productive, such as your desk, computer, and printer. The reference zone, a hub for looking up information, is where you keep filing cabinets, books, and binders. Treat the supply zone like the supply closet at an actual office: Keep a few pens, printer paper, and stationery on a shelf or table in your work zone, and visit the supply area only when you have a shortage. Whether your collectibles of choice are vintage barware, model planes, or trinkets from your travels, putting too many of them on display can take up valuable space on end tables, bookshelves, and mantels and clutter an otherwise charming space. Instead, take the half-in, half-out approach to organize your collection: Stow half of the collection in bins or trunks, and put the other half on display. 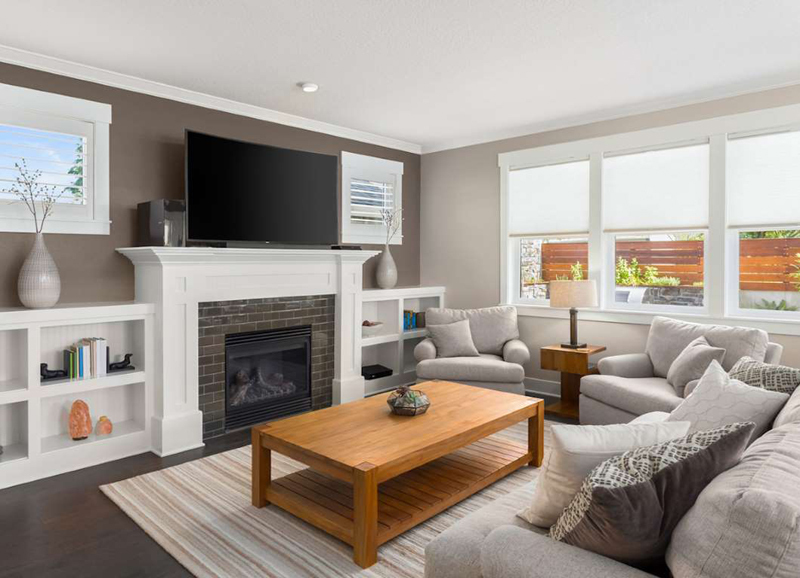 Your space will be tidier, you can switch out pieces when you want a change, and visitors will love this curated expression of your personality and interests. 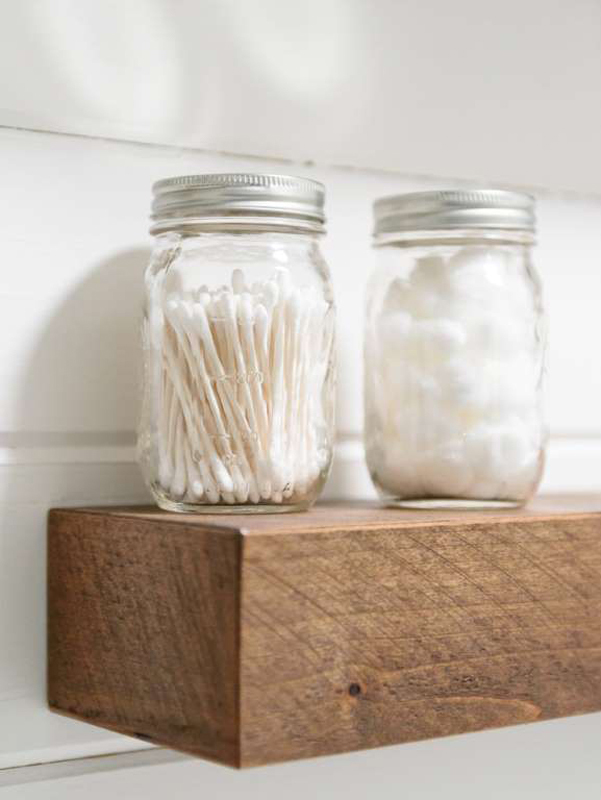 Jamming hand soaps, cotton swabs, and other grooming supplies in drawers and under-sink cabinets can lead to chaotic clutter that forces overnight guests to dig through everything to find what they need. If you have space to spare, buy bargain apothecary jars, fill them with frequently used grooming supplies, and display them attractively on the countertops. This strategy will free up your closed storage for cleaning products, toilet paper, and beauty supplies, while keeping items that guests may need in plain sight. 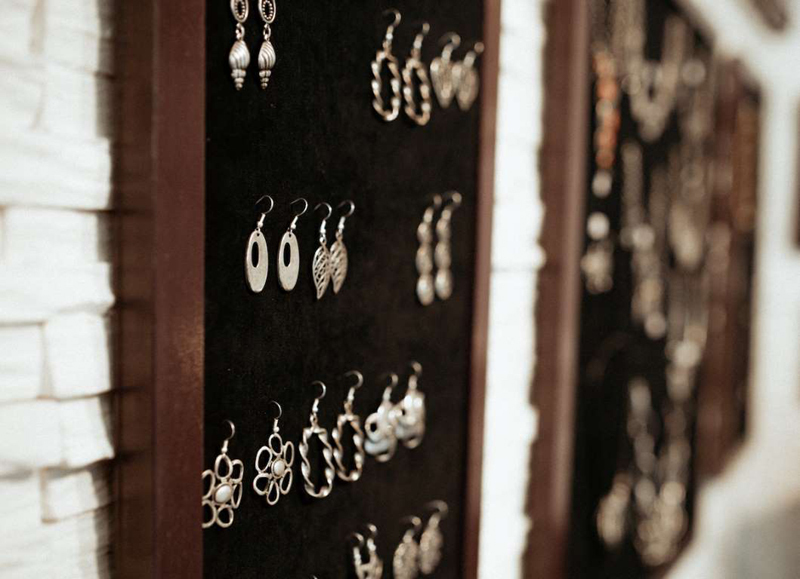 If your jewelry box is overflowing and you don’t have the budget or the space for a jewelry armoire, transfer rings, necklaces, and bracelets to a wall-mounted hanging organizer. Similar in appearance to picture frames, these organizers are equipped with hooks that keep your favorite jewelry in full view and free of tangles. Are you constantly dealing with stray socks or giving socks to the wrong family member on laundry day? 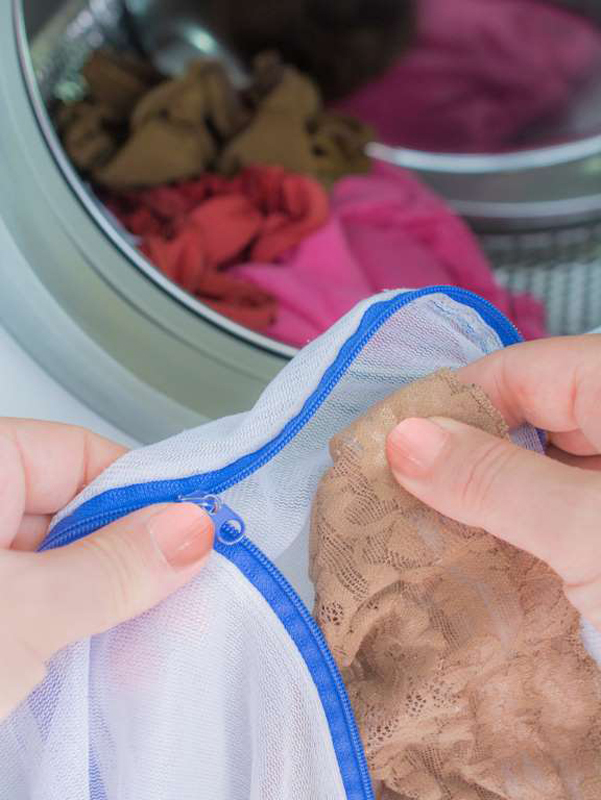 Next time, wash and dry all of the socks and undergarments for each family member in a separate mesh bag. When the dry cycle is finished, each person’s socks will be clean and sitting in his or her respective mesh bag, ready to be sorted and worn. 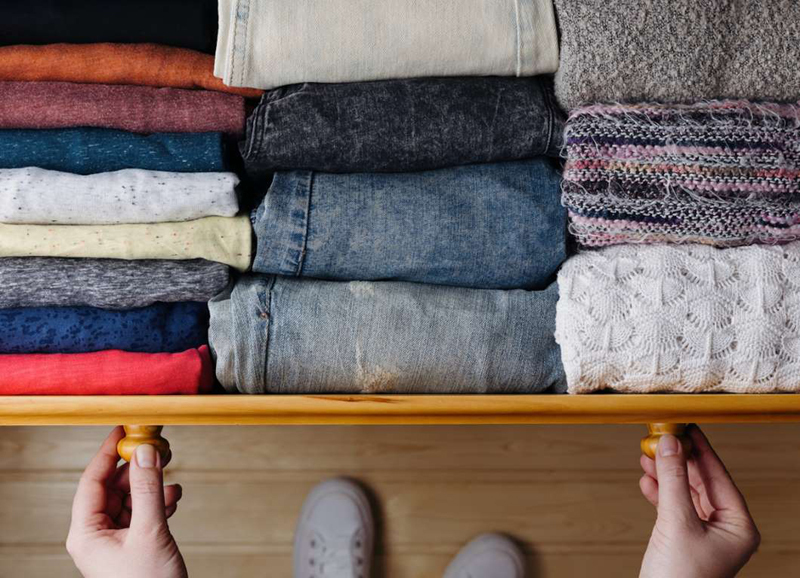 The start of a new season is the best time to survey the contents of your closet and purge it of clothes you no longer wear. As a general guideline, if you haven’t worn an item in a year, you’re unlikely to wear it again. Be ruthless, then bag up the discards for donation or sell them at a yard sale. While you're at it, check for missing buttons, tricky zippers, or small tears on the clothes you're keeping, and make any necessary repairs. Do you find yourself dressing the beds in mismatching sheets and pillowcases more often than not? 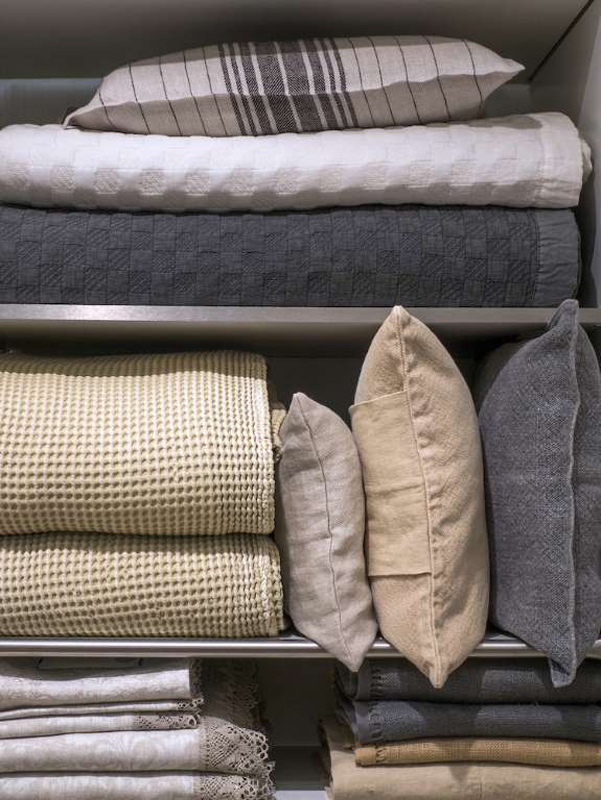 Try this trick: Before you put a set of linens in the closet, fold the fitted sheet, flat sheet, and one pillowcase, then stash all the folded linens inside the remaining pillowcase. You’ll never again lose a piece of the set, and the linens inside the pillowcase will stay clean and wrinkle-free until you’re ready to use them. A lost TV remote is the last thing you want to contend with before a binge-watching session. 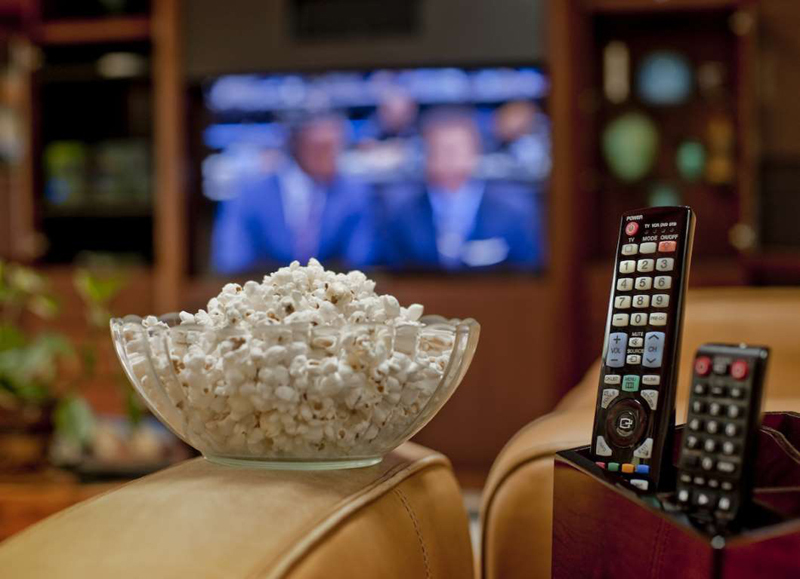 Make sure your remotes are always at the ready by stationing a remote rack—or even an unused vase—on an end table, coffee table, or shelf near the TV. This way, your family members will always know where to return the remotes. Short on shoe storage space in a mudroom or walk-in closet? Install one or more lengths of precut, preprimed picture rail molding on one or two walls of the space, then hang your dress shoes on the rails by their heels. 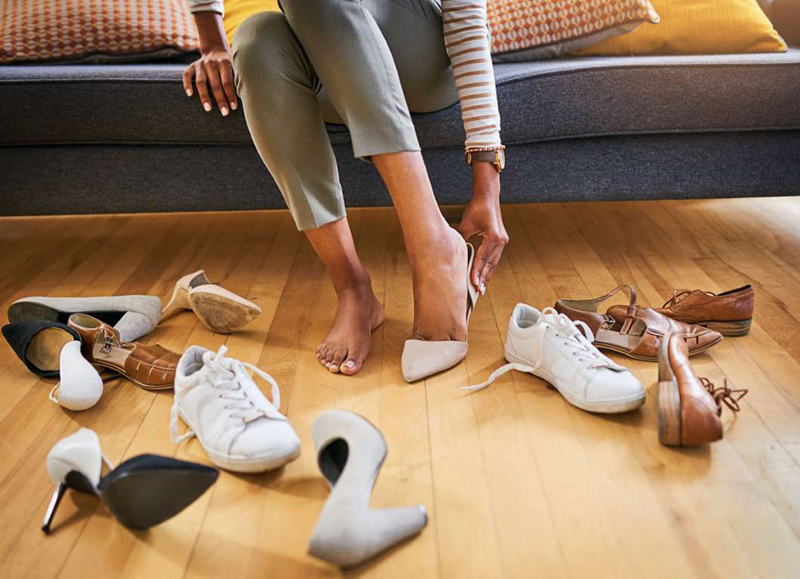 You’ll keep your fancy footwear off the floor and in tiptop condition, and the tiered arrangement of shoes in different colors and styles will make for a dazzling showpiece. 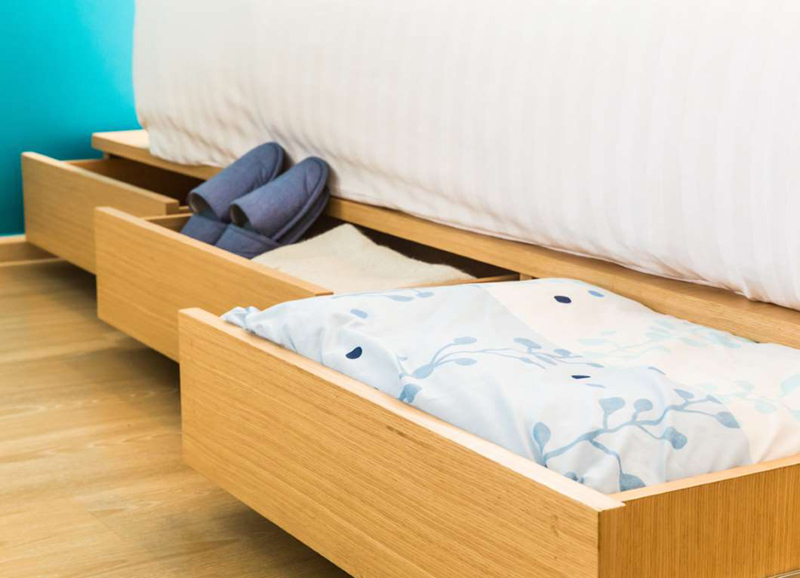 You don’t need to buy a bed with built-in storage to leverage the potential of underbed storage. As long as you have ample room beneath your bed, you can furnish the empty space with containers made expressly for this purpose, or with freestanding bins or baskets. If you’re feeling creative, you can even use old wine crates or drawers fitted with casters for easy access. Fill your underbed storage containers with out-of-season clothes and linens, then roll them back under the bed to free up closet space and keep your bedroom the serene sanctuary it was meant to be. 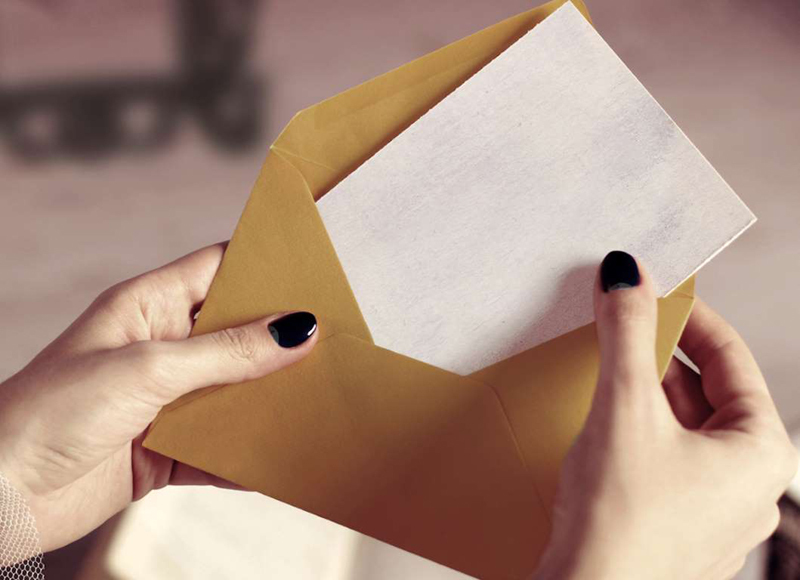 If you’re a sentimentalist who saves every greeting card you've ever received, you may also have a few drawers in your home overrun by the envelopes they arrived in. Rather than letting these colorful pockets take up space in your drawers, use glue or double-sided tape to stick an envelope to the front or back cover of a planner or folder where it can serve as storage space for receipts, coupons, or business cards. Storing passwords for your online accounts on Post-it notes stuck to the monitor is not just distracting, it’s also risky. The notes can easily fall off and get lost, and if you have housemates or frequent guests, yours won’t be the only pair of eyes on them. 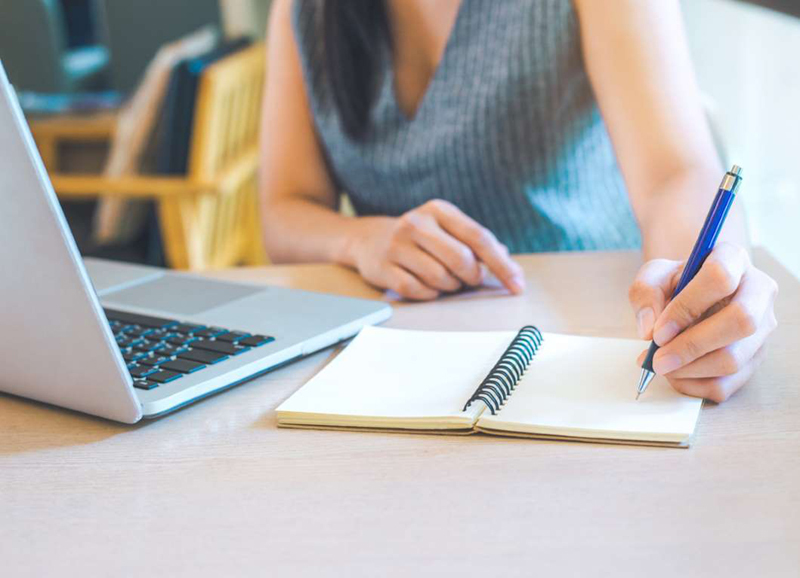 Transfer those passwords to a dedicated password book or password manager software to keep your work space clean and protect your online accounts from prying eyes. If the shelf space in your medicine cabinet is inadequate for your health and beauty essentials, install shelf risers. For a mere few dollars, you'll be able to double the space. Arrange the risers strategically to create shelves of varying heights that will accommodate tall lotion bottles and toothbrushes as well as shorter pill or perfume bottles. Turn a junk drawer in the kitchen, office, or craft room into an organizational oasis simply by lining it with drawer dividers in a variety of sizes. 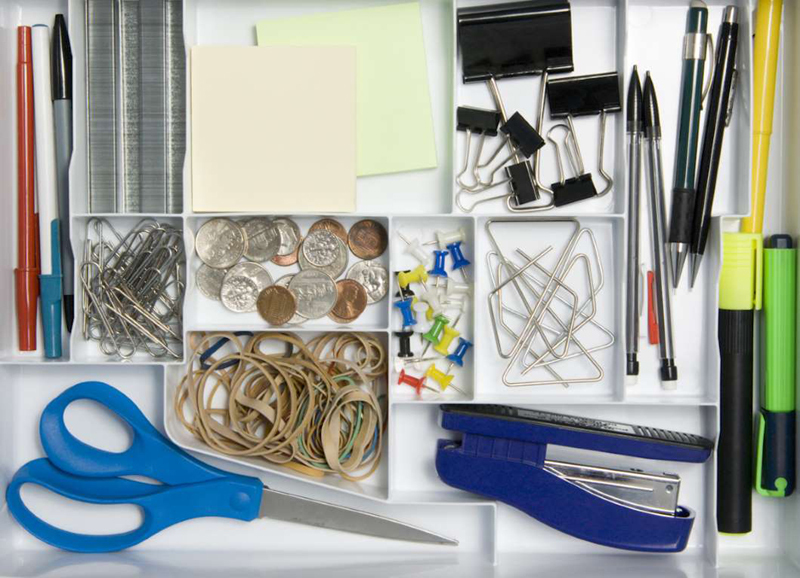 Use long dividers for utensils, staplers, or pens and pencils, and reserve the short sections for small items like measuring spoons, paper clips, or erasers. When you stack folded shirts or towels in a drawer, only the topmost item is visible. If, however, you fold them like files so they sit upright, you can survey the entire collection at once and pinpoint the one you want in a flash. And if you take it one step further and arrange your file-folded garments by color, you can shave precious moments from your morning outfit selection routine. 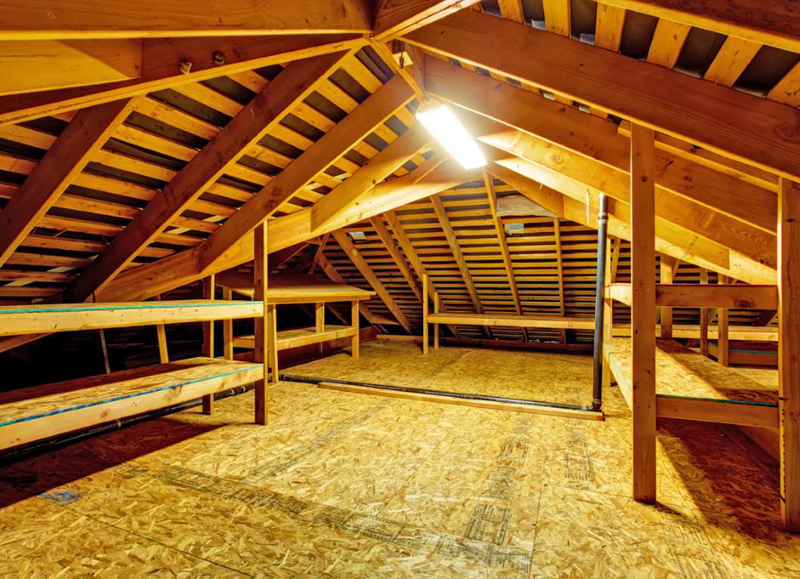 Installing shelves in between the trusses of your attic is a great way to carve out space for items that require long-term storage. These tiered shelves often install in minutes to create room for large bins filled with Christmas decor, winter wear, or even a secret stash of gifts that you need to conceal before an upcoming birthday or holiday. 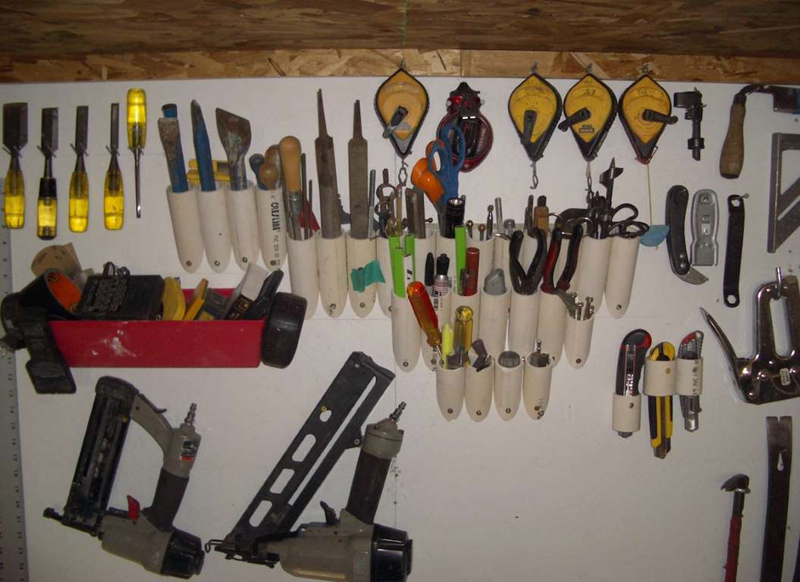 Bulky and unwieldy yard tools, from spades to trowels, are often left leaning against a garage wall or relegated to an already crowded shelf. To keep tools off the floor but still in clear view, turn to leftover PVC pipes from plumbing projects past. 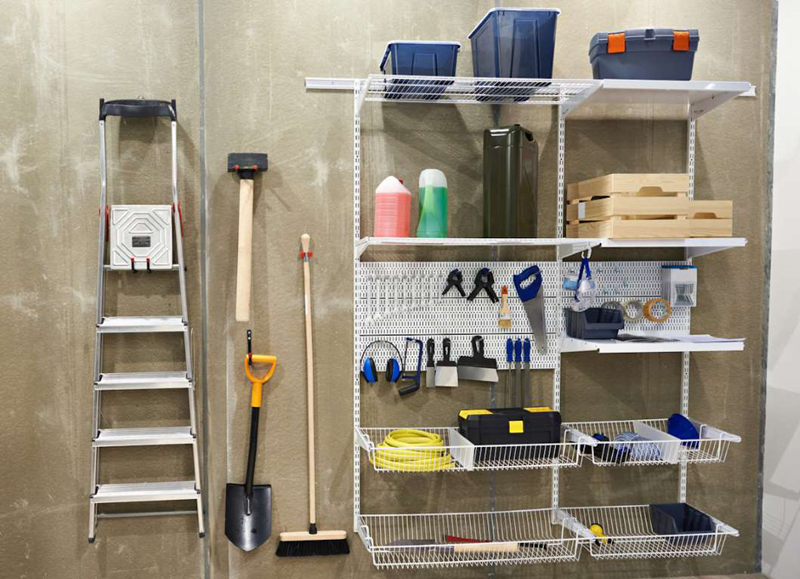 For long-handled tools, mount two vertically aligned PVC pipe segments on the wall for each tool you need to store. Then, slip the long handle of each tool through the rings to keep the tool neatly stowed and off the floor. For smaller tools, cut short lengths of PVC, mount them on a wall or board, and put one or two tools in each pipe. 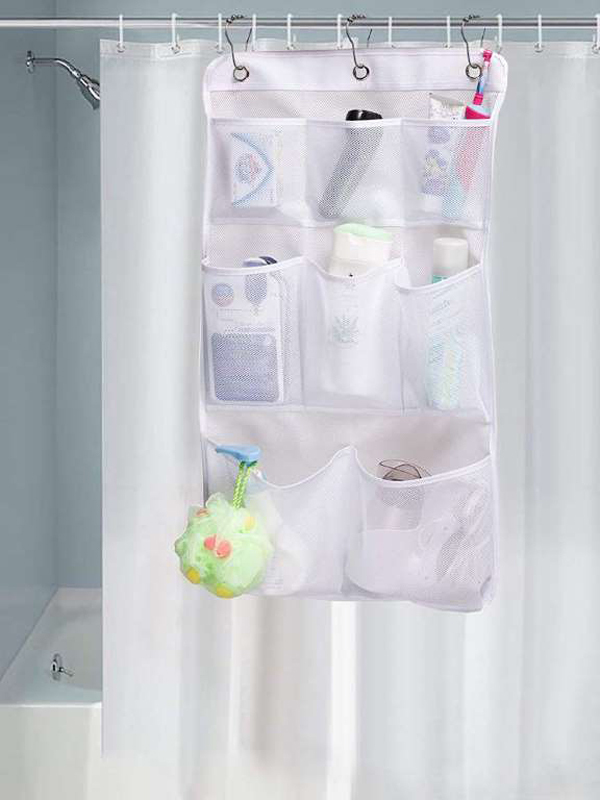 Those plastic pockets used for stowing shampoo and soap in the shower can do double duty as storage in the car. Simply hang an organizer from each headrest so that the pockets face the back seat. Then, fill up the pockets with road trip essentials, from flashlights to snacks, to prepare yourself for emergencies and keep your passengers entertained until you reach your destination. Conceal cords and cables that run the length of your office, living room, or bedroom by feeding them into baseboard cord channels. 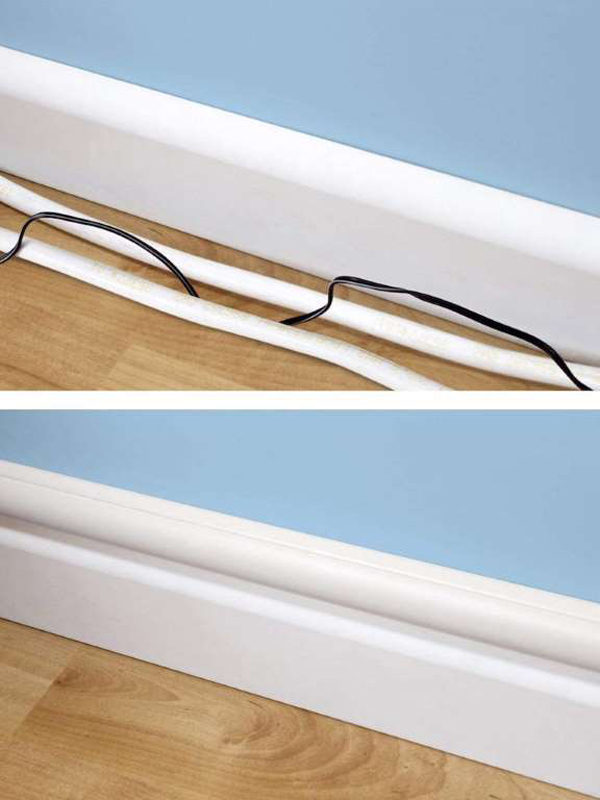 You can stick these self-adhesive, neutral-colored cord channels directly to your baseboards and then run your cords through the opening to hide unsightly cables and protect them from damage. Unwieldy dog food bags are both an eyesore and a spill waiting to happen. 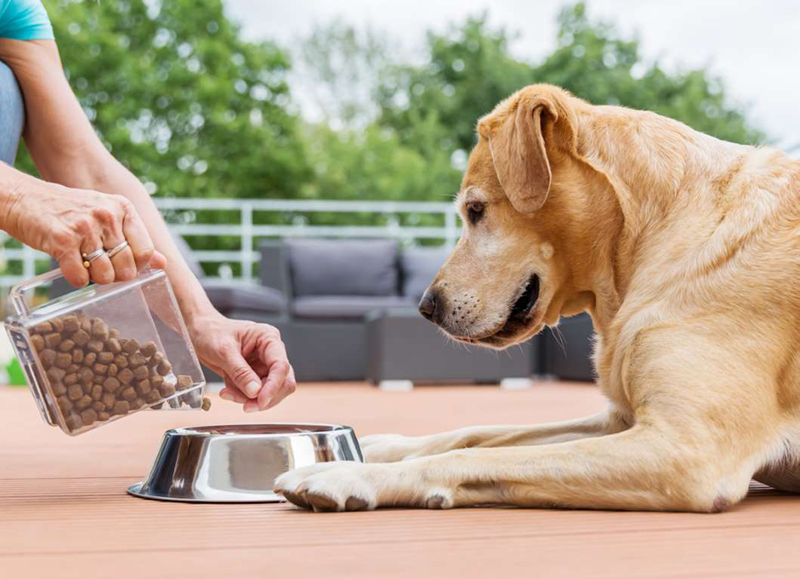 Instead of scooping food from the bag into Fido’s bowl, transfer new bags of dog chow into a sturdy old popcorn tin or other container with an airtight seal. This food storage solution minimizes spills and helps you measure servings more accurately. 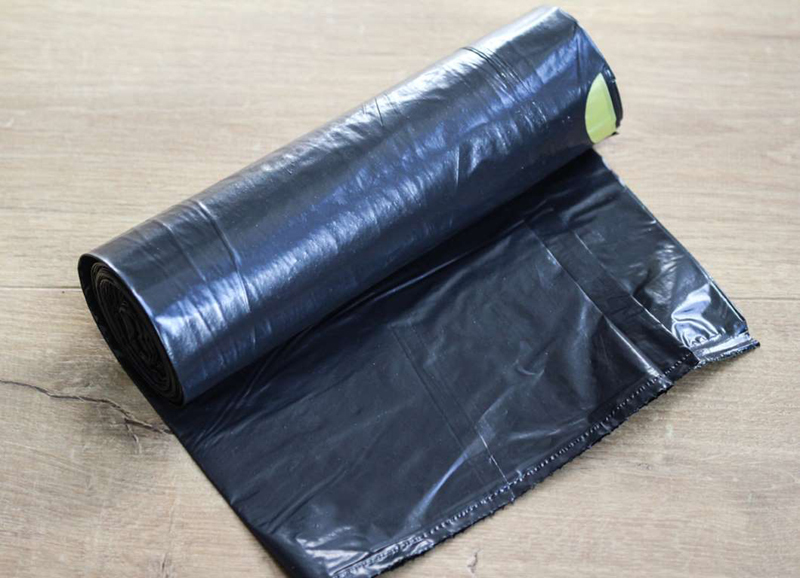 Fed up with fumbling with that roll of garbage bags on trash day? If you park the whole roll on a paper towel holder, you'll be able to unfurl and tear off a bag in seconds. You can stand the roll upright on a countertop, or for even faster retrieval, mount the roll to a kitchen wall or behind the door of an under-sink cabinet. 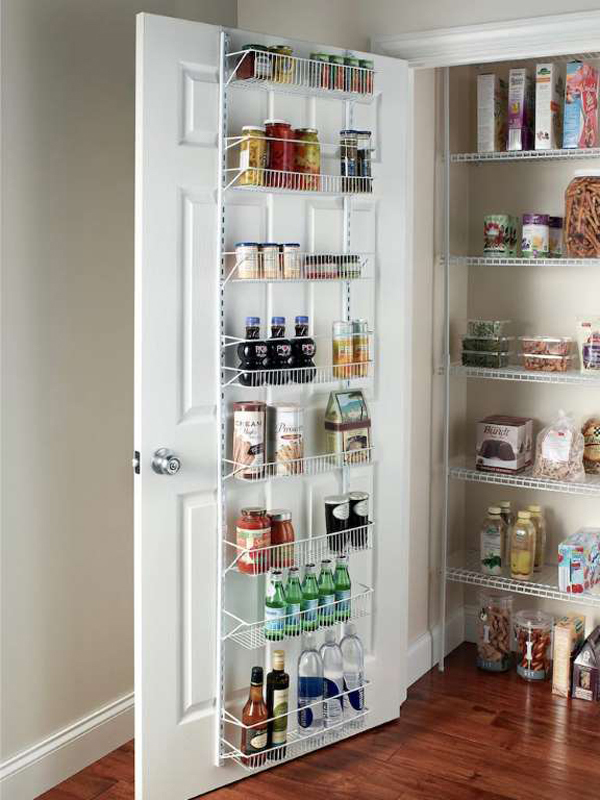 Install wire shelving to the back of every door in your house to make that dead space work harder. 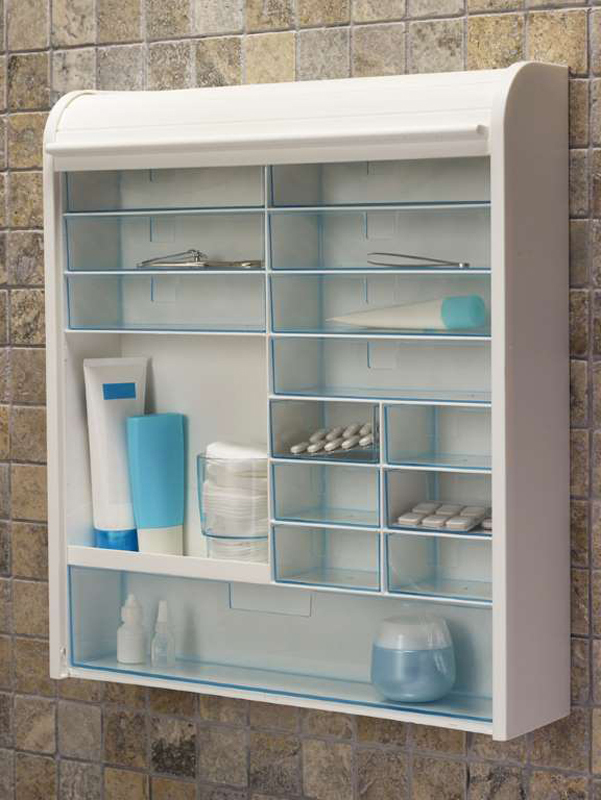 Door-mounted storage is a simple and efficient way to keep items that get daily use, from soap to laundry detergent, at arm's length without letting them clutter up cabinets and countertops.